It happens all the time. A new album comes out, you listen to it, and before you know it, you have a new favourite song. So you play it again. And again. And again. It’s on loop for days: in the car, at home. Maybe you even hum it to yourself while you work. So why does this happen? We asked Elizabeth Hellmuth Margulis, author of “On Repeat: How Music Plays the Mind” and director of the Music Cognition Lab at the University of Arkansas, for the answer. This means when we listen to music, we aren’t just processing sound. We are involved. We are focusing and learning. Sometimes we even “feel” the song. 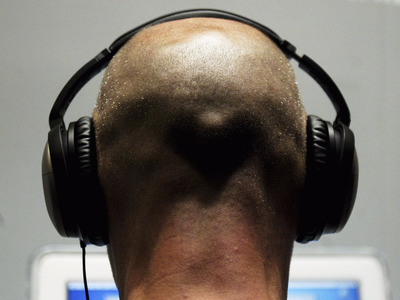 “We have a lot of measures demonstrating that people are experiencing this participatory sense when they are listening to music,” Margulis told to Business Insider. The involvement of the motor parts of the brain is also why we sometimes feel the urge to tap our feet along to the beat, or rock out with an air guitar. When we like a song, we are more likely to listen to it again, and by doing so, we are starting the cycle of “falling in love” with it. A study in PLOS ONE found that more of the brain’s emotional circuitry tends to be active when we listen to music we are familiar with. In other words, we are more likely to experience an emotional reaction. The second time you listen, your brain also has an easier time processing it. In other words, Margulis said, “your brain can handle [the song] better because it knows what to predict about it [and] your brain understands it.” Each additional listen only amplifies this effect. At some point, a contravening force kicks in, Margulis said, and makes us want to start looking for something new to explore and learn about. “If we keep revisiting the same place again and again and again, we never learn,” she said. “So there is a competing drive to explore and find new things.” In other words, your brain is no longer surprised by what it hears and a different instinct drives you away from it so you can find a new song to discover and love.